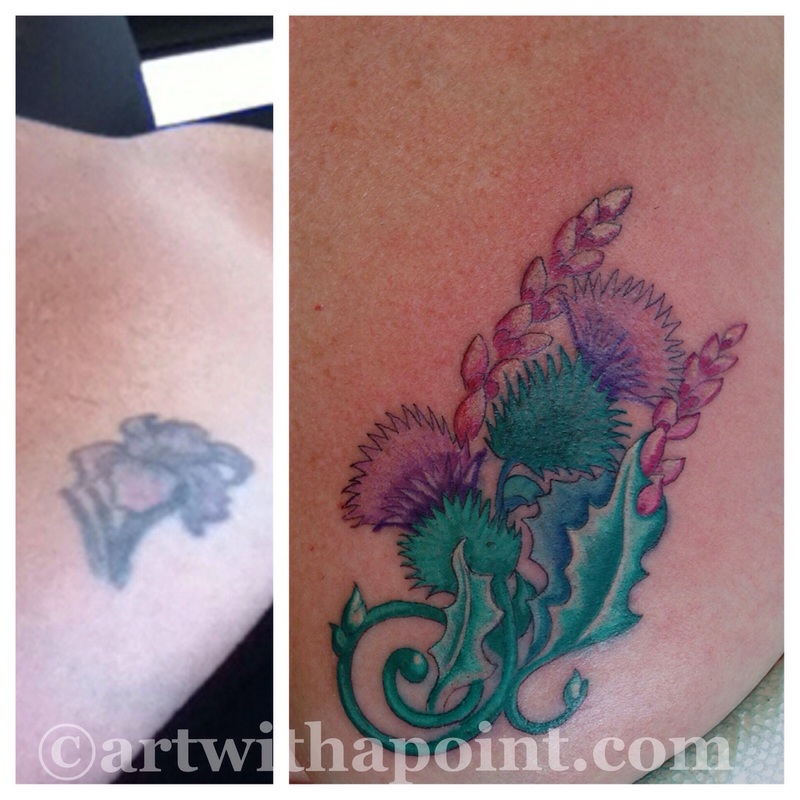 Wondering what to do with that old tattoo that you never want to show? 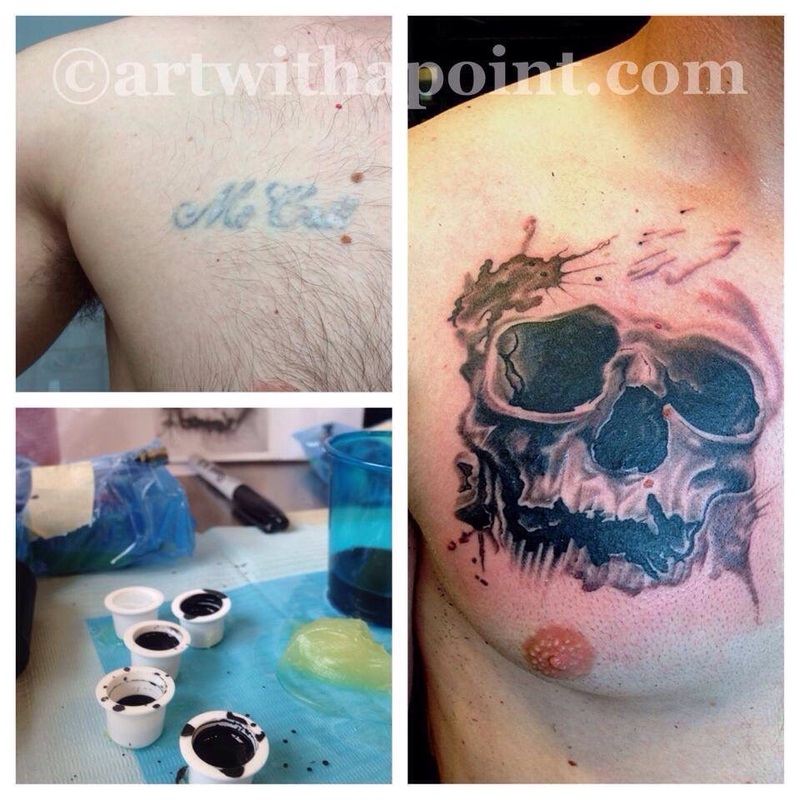 How about a brand spanking new custom cover up you can show off and feel proud of! Email Awen with questions or to schedule a consult.